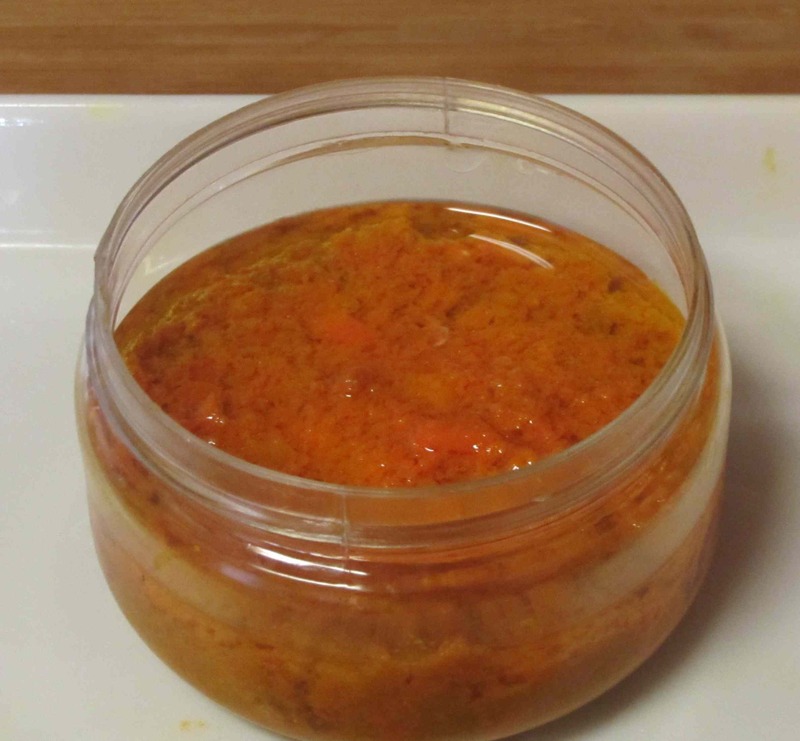 Making ready-to-use pastes out of ginger, garlic, chili peppers, or combinations thereof, is a fairly common practice in many kitchens (see my Chili-garlic-ginger paste), and turmeric is well suited for this as well. 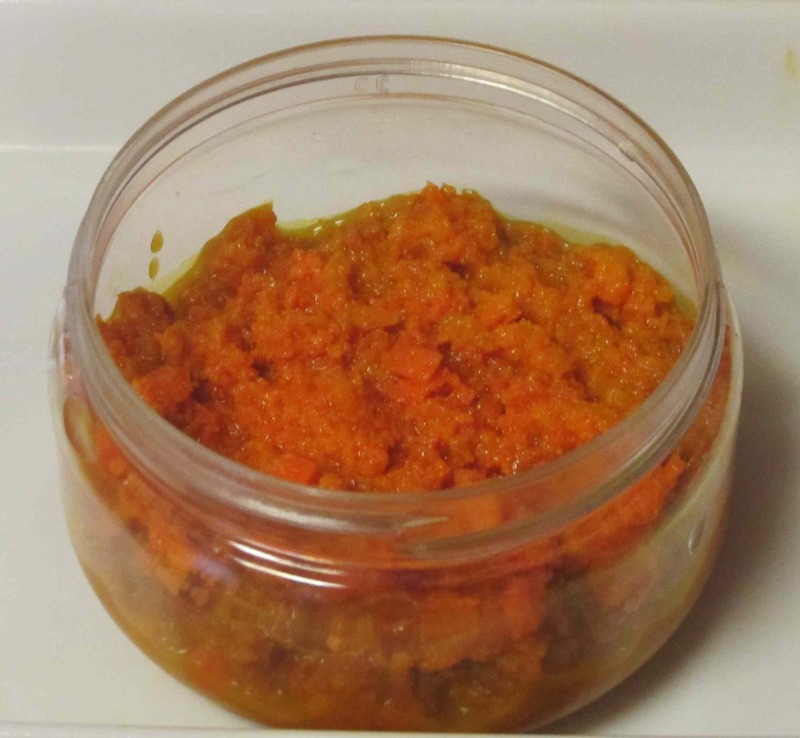 Most sources I have come across suggest that a paste made by grinding fresh turmeric should last a week or so in the refrigerator but I believe that, with a little salt added, this period can be extended considerably. 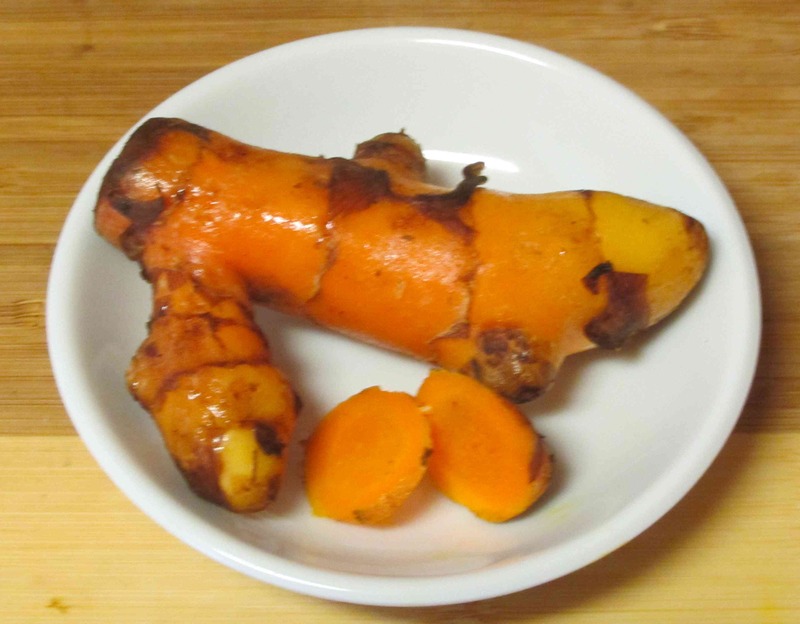 I have salted ginger paste in my fridge that has lasted for many months (and turmeric should retain its flavor at least as long), but, unlike ginger or garlic, the color of turmeric is an issue and the ‘shelf-life’ may thus not be quite as long as other spice pastes. Basically, I just chopped the peeled turmeric rhizomes fairly finely and then ground them to a paste in my mortar. The amount yielded was about a quarter cup and to this, as a preservative, I added approximately one-half teaspoon of salt. 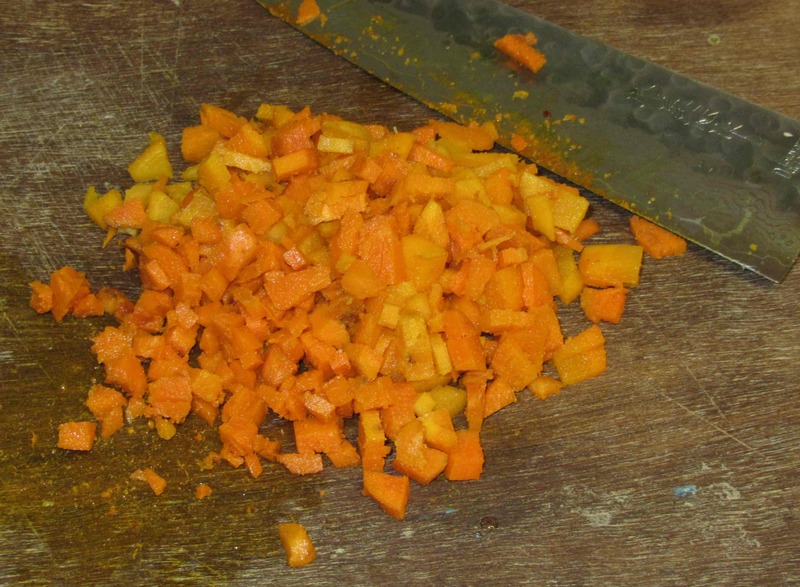 Anyway, the ground paste looks like this… When grinding, the turmeric throws quite a bit of juice that is, on the one hand, rather watery, but also has a very slight stickiness as well. I am using an old plastic container to store the paste (one that can be discarded after use) but you may want to choose glass if you make your own. Amazing post! 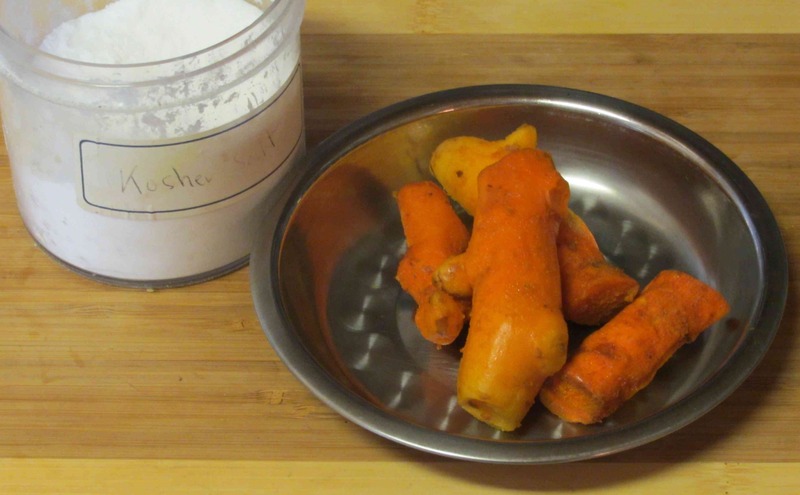 Love this idea of creating a turmeric paste. Nice idea, I’m going to try it. I’ve only used it in the one recipe so far … I want to let it sit for a while before I try it again and test the quality. any thoughts on how well and long the turmeric paste is lasting in the fridge? That was a pretty old post and the paste is long gone now. I know I had it longer than 3 months but I can’t recall how much longer.